Getting locked out of your car is a day ruiner for sure. Especially if it’s because you simply can’t find your key as you head out in the morning. On many cars, if you lose both keys you are in deep trouble, so having at least one spare is definitely the best idea you’ve had today. Pair this with the way keys and key fobs tend to disintegrate over the years, and we have a lot of people buying VIN coded keys on the regular. We offer VIN coded keys and electronic coded key fobs for Audi, BMW, MINI, Porsche, Saab, VW, and Volvo. If you are buying a VIN coded key, you need to get together a few things first. Because keys are (obviously) theft relevant parts, we must make sure they are going to the right person, and we have some precautions in place in order to confirm you are who you are. When buying a key (electronic or otherwise), you must supply us with scans of your drivers license to confirm your identity, and your registration of the vehicle so we can confirm your ownership. These aren’t our rules, they are passed down from our Genuine Parts dealers, who reserve the right to refuse anything that seems fishy. When scanning or photographing your materials, verify that the documentation is very legible, crisp, and all the information is displayed (such as address, VIN, full name etc). Non-perfect images can result in refusal. When you see a listing like this, you will see two (!) symbols with some very important information. The first is in reference to the anti-theft related measures that must be taken in order for us to fill the order. The second relates to electronic keys only, as they usually will require some kind of dealer scan tool in order to ‘marry’ the transmitter to your vehicle’s electronics. 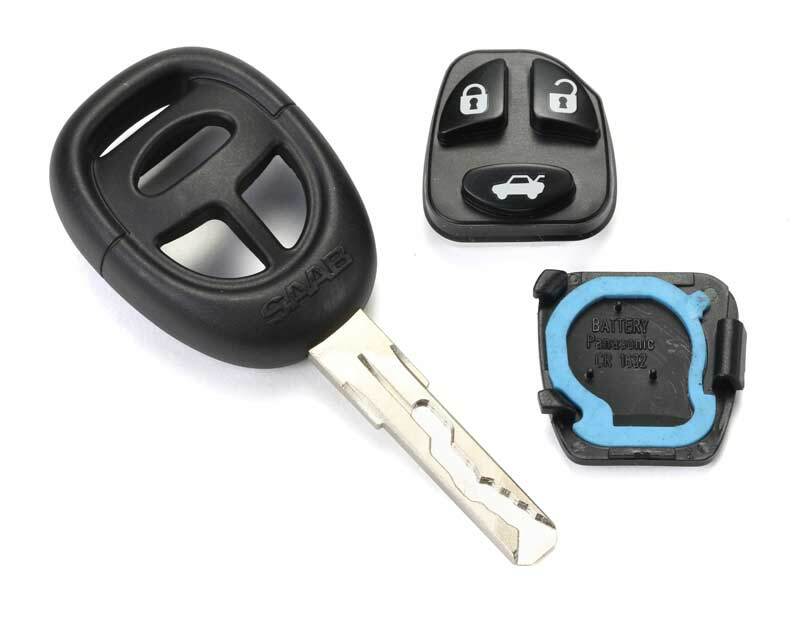 Some cars do not need programming, such as the 2010- Saab 9-5 or the very popular diamond shaped BMW VIN coded keys. When you place an order for a coded key, we will pre-authorize your card and send you an email asking for the required information. Respond to that email with the following attachments: a picture of your Drivers License as well as your Registration or Title. As mentioned above, clarity counts. Fuzzy, poorly scanned, damaged, or otherwise fishy images will be rejected. Everything must be current and valid, no expired registrations or identification will be accepted. When all of your documentation is together we will place the order to have VIN coded keys made for your vehicle. Your card will now be charged, and you have reached the point of no return. Once your key is being made, you cannot cancel the order. Because the key is made specifically for your VIN, it will not work with any other car, thank you for understanding. It usually takes a week or two, depending on the make of the car, to receive your new custom key. If at some point the ignition cylinder for your car has been changed with a unit that doesn’t match your VIN, it is your responsibility to know, especially if the part is for another car’s VIN (IE junkyard). This is rare, but does happen from time to time. If your key doesn’t work because you have a different cylinder than what is denoted by your VIN, then we can’t supply a return. We do also sell coded ignition lock cylinders, but they may not be available for all vehicles. However, these coded cylinders usually have key codes on the cylinders themselves, or somewhere on the packaging so you can still order new keys for replacement cylinders if they are different than stock. 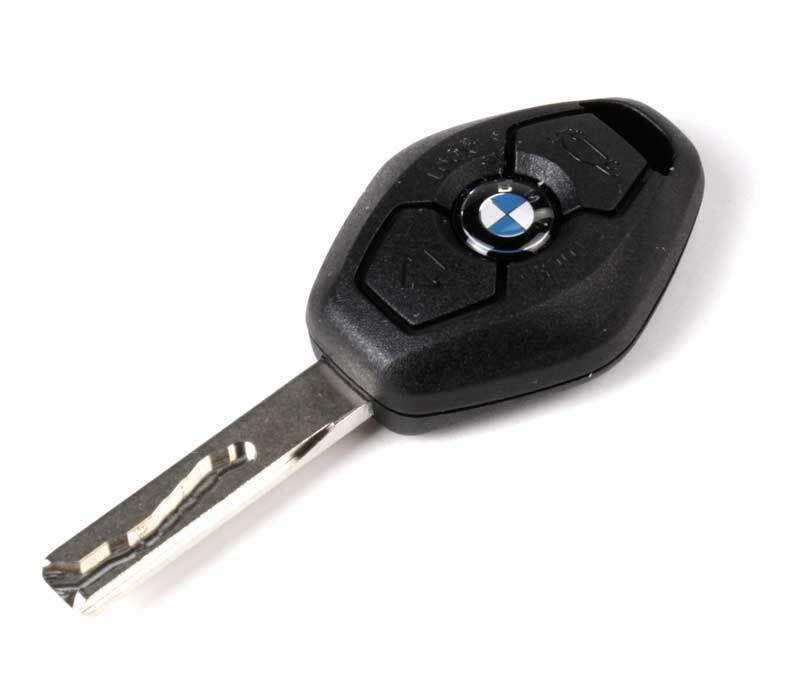 We offer VIN coded keys and electronic coded key fobs for Audi, BMW, MINI, Porsche, Saab, VW, and Volvo. Some cut key blades are VIN coded but the electronic portion is separate. This is the case for many Saab cars, as well as Porsche and others. Due to Mercedes-Benz’s strict rules on theft related parts, you must go to a dealer for MB keys. If there are any keys that you don’t see on the site, drop a line to our CS department, and we can find anything you need if it still exists. That goes for keys, and anything else from shock absorbers to voltage regulators! Hi, can you tell me how much a replacement key for a 2006 VW Beetle convertible would be? do you guys offer this service for Mercedes ? Unfortunately, Mercedes is the only manufacturer that will not allow any outside source to buy keys through. They classify them (rightly so) as Theft Relevant Parts. Unfortunately for everyone involved, that means they restrict the sale of these parts to Dealer Only. Well thats a nice way to say that mercedes just has their head stuck up their “_______” so far that they cant catch a breath. I can say this i own a 09 GL320 Bluetec. Thanks ! I understand MB’s limitations on keys more than I do automatic transmission valve bodies, which are also dealer-only ‘theft relevant’ parts. That really has you by the kahones if you need one. Can I get a VIN specific key for a 1987 BMW 325? 2000 Boxter S. Key stolen and have no backups. Can you get key from VIN? Would it need to go to dealer for programming? I just want to keep a key in my wallet to open my vehicle in case I lock my keys inside. I DO NOT need this key to start the vehicle, but just to open the door. Thus I do not need the chip coding, whatever. Can you just cut a key according to VIN, without the coding portion? I have a 2003 Volvo XC70, I live in Canada. Hey Pierre, the coding is just our way of saying that the key is cut for your specific VIN code. The key would be the same price and is not available as just the blade without the plastic handle. To slid it into your wallet, you would have to open the key handle and remove the blade, or cut it on something like a band saw. I’ve never seen anyone do this before but it’s not a bad idea. Off the top of my head, however, I do not know if the door handle has a rfid chip reader or if the key would work to open the door without the chip in the handle programmed I assume yes but I could be wrong. Unfortunately all this is moot because due to legal reasons our network will not allow us to supply non USA model cars with VIN keys. Lost my key to my ’06 Volvo xc90! Can you help with cutting a key for me? If you have any questions about how the process works for your particular car, contact customer service by phone or email and they’ll help you through the entire process! Have your VIN ready. 2006 mini cooper 3 button key laser cut. What type price point. Recently purchased with just one key and the battery is dead. This is the one that’s supposed to charge when in ignition. any help appreciated. If you’d like to buy a spare key, as the blog article said just simply send your VIN to customerservice@eeuroparts.com and let the reps know you are looking for a new cut (coded) key. They’ll get you a price asap! Customer Service will contact you shortly, thanks! After this purchase process, how does your company handle and safeguard this personal identity information? Hello, I am in need of some information about a switchblade security key for an 2005 Volvo S60. If I provide all the needed information for the process of getting a key for you. What is the procedure, the cost, and is there any additional key programming that needs to be done. Like for instance, from the dealer? Hi John, the quickest way to have these questions addressed is to email your VIN to customerservice@eeuroparts.com and a short description of what you are looking for. They will direct you along with specifics. Thanks for shopping!